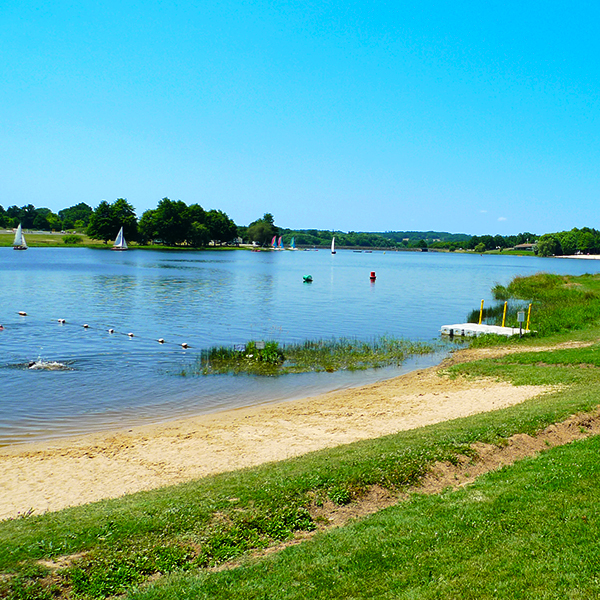 Activities things to do Gites Limousin: Our local leisure lake is just a short drive away with two man-made beaches to choose from (either a 5 or 10 minute drive; or a pleasant stroll / cycle rides distance) it is no surprise that it makes for a lovely day out. In the summer you can hire all types of manual watercraft from small sail boats, kayaks, canoes, surfboards and paddle boards to pedalo’s and large inflatable rings; it’s a great place to entertain the family. Both ‘beaches’ have a 250metre section which has been cordoned-off for swimming, with a further separate area for younger children; shower facilities & toilets are available. Water quality is monitored daily and there are lifeguards in July & August. Maybe it’s just relaxation you are looking for; simply take a beach towel and doze off along the shore line under the dappled sunlight glinting through the trees. 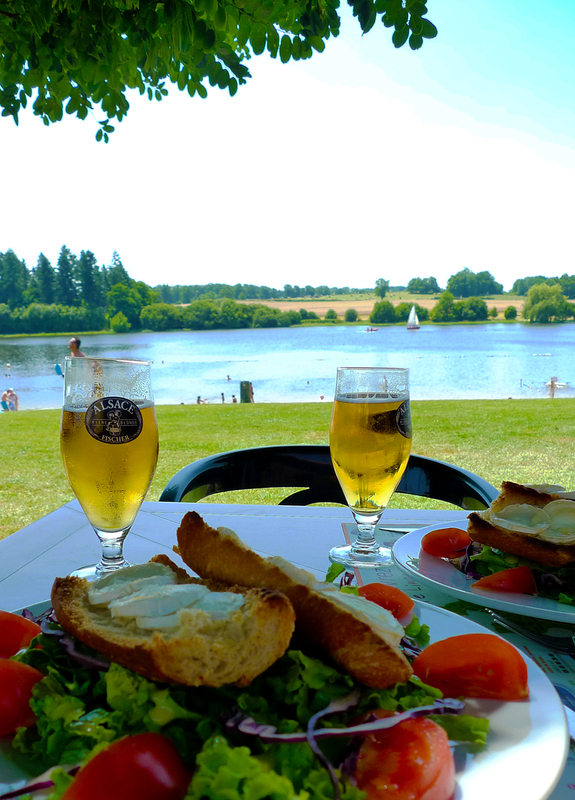 There are three places to eat & drink around the lake ~ all serve anything from just an ice cream or a light snack, to a full meal. France is famous for it’s cycling and this part of France is just perfect, with the wonderful landscape to explore on quiet rural roads, it is a cyclists paradise; you definitely won’t be alone as often you will see far more cyclists than cars! With many tracks and routes starting right from the front door of the gite you will be spoilt for choice on which direction to head for; maybe off road one day, then stay on the quite roads and discover hidden villages the next. 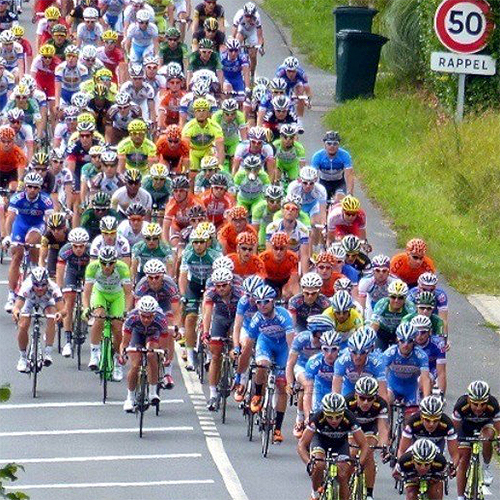 You could come and enjoy the “Tour du Limousin” held annually in August. It is a 4 day event and is a mini version of the ‘Tour’, we have been lucky to have it passing locally for the last 3 years. We were also lucky enough to have the actual “Tour de France” passing only 45minutes away in Limoges in 2016; and 90minutes away in Perigueux in 2017. If you haven’t been before it is well worth the experience; starting with the caravan then the excitement building-up as you hear the leaders approaching. Then the whole peloton passes in just 45 seconds, but the speed and the ‘vortex’ created gives you goose-bumps; it really makes for a great day out! If you don’t want to bring your own bikes, then the easiest way to hire a bike would be from ‘Bike Hire Direct” they have a great website with more information about cycling in the area than we could ever fit on here. They even deliver and collect directly to us. 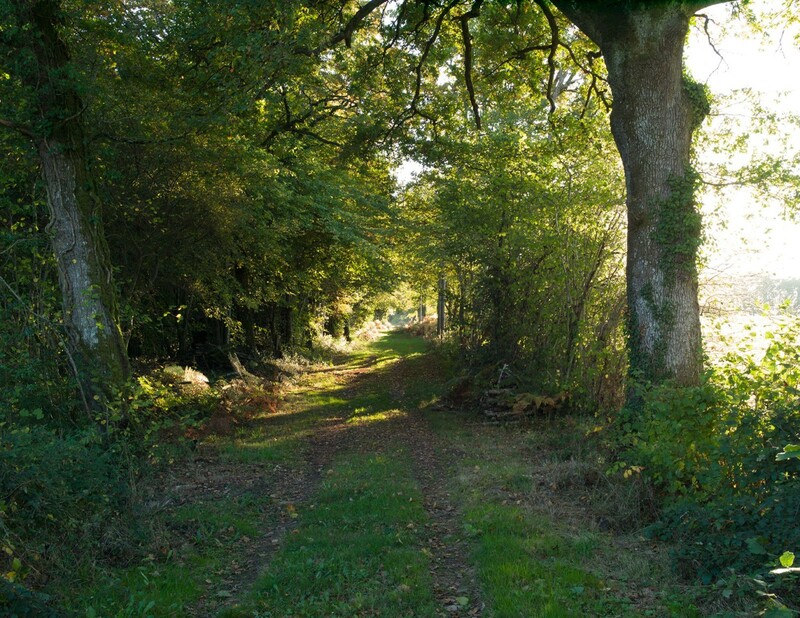 There are hundreds of routes and paths in the Limousin; from the gites you can step out in every direction. There is even an actual designated trail that leads right past the front door. Dependent on your fancy there are both short and longer walks, we provide a few detailed maps in the gites so you can just go off and discover this wonderful region, but there are many books published with alternative routes. If it’s a more ‘powered’ form of transport that excites you then there are a few places you can ride horses, the nearest is in the hamlet of Pressignac, which is only 5 mins down the road where you can ride many pathways, some of which meander around the lake. In the summer, the sight moves to the side of the local leisure lake above.